We believe in lifelong learning as a path towards opportunity and fulfillment. As individuals increase their literacy and basic skills they are able to secure better jobs, manage their personal lives, advocate for themselves, enhance their parenting skills, and contribute more to their community. In short, they improve the quality of their lives and communities. HAPPY HOLIDAYS FROM THE LITERACYWORKS STAFF! We, the Literacyworks staff, are very grateful for many things this year. As our tradition, we offer Literacyworks “Top Ten List” (in no particular order) of all the great things that happened in 2018 and a few more for which we're grateful. But first, a reminder! Our last 2018 Literacyworks Lecture is coming up this month. Congresswoman Barbara Lee was born in El Paso, TX. As a single mother raising two sons, she attended Mills College and received public assistance while building a better life for her family. Congresswoman Lee received her Masters of Social Work from the University of California, Berkeley. As a small business owner in the East Bay, Congresswoman Lee worked with people from all walks of life. In 1998, she was elected to serve California’s 9th (now the 13th) congressional district in a special election. She has long advocated for legislative action to end poverty. Her autobiography is Renegade for Peace and Justice: A Memoir of Political and Personal Courage. Congresswoman Lynn C. Woolsey is a former U.S. Representative for California's 6th congressional district serving Marin and Sonoma County from 1993 to 2013. Lynn focused on issues facing children, families, and education during her 20-year career in the U.S. House of Representatives. #10. Congresswoman Lynn Woolsey: Lynn continues to be our biggest supporter. She is our Literacyworks Center founder/partner and Honorary Board Chairperson. #9. Our Center participants: This 2017 Spring and Fall Semesters, 192 of our adult students received our Adult Literacy Awards to help them persist in school and progress on their educational goals. Thanks to an increase in our Adult Literacy Award funding, we are expecting to enroll up to 110 students for Spring Semester 2019. Also, high-fives to our volunteer tutors who will start helping our students succeed with one-to-one tutoring. #8. The Literacyworks Center: In 2018, the Center increased to 192 students (from 182 students in 2017). We handed out the Adult Literacy Award (thank you anonymous family foundation) to all our students. Again this year, the Center had less than 10% student dropout rate compared to a historically 60% dropout rate for this at-risk population at community colleges. This is in spite of the fact that all our students were affected by the Santa Rosa fires. 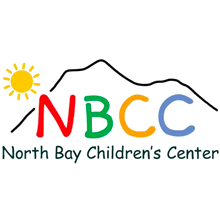 We were able to secure a Redwood Credit Union North Bay Fire Relief Fund grant that assisted our students with resources such as housing relief, child care, transportation, and counseling. We also conducted one-on-one interviews with students to find out what their academic and fire relief needs were. The Center is proving that we can make a difference in keeping low income, highly motivated adults stay in school and become career and college ready. #7. Literacyworks Lectures: Another great series of speakers this year. Literacyworks Lectures began its collaboration with Copperfield's Books to bring prestigious authors to Petaluma. The lineup was: Steven Pinker Harvard University experimental psychologist; Leland Faust founder of CSI Capital Management representing over one hundred NFL, NBA and MLB all-stars; Robert Reich, American political commentator, professor, author and former Secretary of Labor, in Conversation with Congresswoman Lynn C. Woolsey; Greg Sarris, author, screenwriter, producer, scholar, professor and Tribal Chairman of the Federated Indians of the Graton Rancheria; Daniel Ellsberg, American activist and former United States military analyst, in Conversation with Peter Coyote; Chilean author Isabel Allende in conversation with Michael Krasny; and Congresswoman Barbara Lee in Conversation with Congresswoman Lynn C. Woolsey. As the Argus-Courier wrote: "Petaluma’s Literacyworks Lecture Series is upping its star-power this year, with the 2018 version of the non-proﬁt’s popular speakers’ showcase now featuring some of the brightest and best thinkers, writers, politicians and philosophers in America." Thanks to our staff, students, volunteers and many sponsors who make this fundraising event inspiring. #6. Parents as First Teachers: Engaging Families to Increase Children's Literacy program: Literacyworks has been an early adopter in believing that children’s first teachers are their parents. We work with educational and literacy programs, including family literacy programs that serve children under 5, in libraries and community-based organizations, throughout California and the nation. Literacyworks Parents as First Teachers: Engaging Families to Increase Children's Literacy program works with low-literacy, low-income bilingual parents and children through a combination of access to resources in the home and the community and by training parents in the basic skills to encourage their children to become avid readers. The goal is to help our parents view their parenting role in a positive manner, have appropriate expectations of their children's achievements, prepare their children with the necessary skills to be successful in school, and establish and maintain positive relations with community resources, including libraries, schools, and community groups. The Sonoma and Marin library branches are interested in offering the program in 2019. #5. Literacyworks Board: We sincerely appreciate the support and wisdom of our Literacyworks Board: Elizabeth Howland, President, Eric Backman, Secretary, William Soper, Treasurer, Robin Klaus, and Gloria Cruz McCallister. #4. 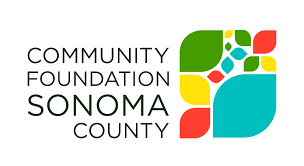 Founding Friends of the Center, the Friends of the Literacyworks Center and Program Partners: Again in 2018, many people and organizations helped to make Literacyworks and the Center successful including Santa Rosa Junior College, Center Point, North Bay Children’s Center, West Marin Community Services (Pt. Reyes Station), the Friends of the Literacyworks Center and our Center donors, both individuals and organizations, including Codding Foundation, Federated Indians of Graton Rancheria, Marin Community Foundation, Bank of Marin, Community Foundation Sonoma County, Dollar General, KRCB, The W Foundation, Sobel Communications, Fishman Supply, Bank of Marin, Westamerica Bank, Amy's Kitchen, Redwood Credit Union and Schwab Charitable Giving. #3. SRJC: The Petaluma Campus staff and administration have been very supportive of the Center with particular thanks to Dr. Jane Saldana-Talley, Vice President, Petaluma Campus, whose assistance was and is invaluable, Dr. Matthew Long, Dean of Student Services, Dr. Catherine Williams, Dean of Instruction and Enrollment Management, and Yesenia Rodarte-Hurtado, ELL Outreach Coordinator. The SRJC Santa Rosa campus staff has been great to work with also. Thanks to Dr. Frank Chong, President/Superintendent, Rachael Cutcher, Manager of Scholarship Programs, Cathy Prince, Dean of Instruction & Strategic Program Development and the Hispanic Serving Institution programs, and Enedina Vera, HEP recruiter. #2. Staff: Thanks to our talented Center staff: Chris Schultz and Rita Sorpranith and Literacyworks Development Director, Elizabeth Howland. #1. YOU: We are especially grateful for all the Literacyworks supporters, both anonymous and public, and that includes you! Literacyworks is helping underprivileged and underrepresented adults secure better jobs, become better parents, and contribute more to their community. Thanks for all your support this year and next. We’ve launched our 2018 Year-End Campaign. 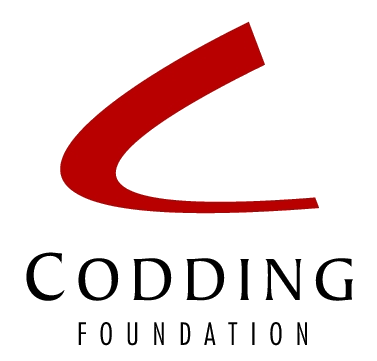 Our goal is to raise $25,000 to keep receiving the donor’s scholarship funding by matching it with funding for staff and operations. This will allow us to reach our goal of helping 110 motivated low-income low literacy adults get on our program each semester in 2019. We can’t do it without your help. Will you make a gift? To make your donation now, go to http://www.literacyworks.org/donate or contact Rita at rita@literacyworks.org to be mailed a remittance envelope. Cherríe L. Moraga is a writer and an activist. A cofounder of Kitchen Table: Women of Color Press, Moraga co-edited the highly influential volume This Bridge Called My Back: Writings by Radical Women of Color in 1981. Her new book is Native Country of the Heart: A Memoir. Check back here for ticket information. Keep up with what we have in the works.